Mash profiles have a significant impact on home brewed beer. Using an authentic mashing technique for a particular beer style will improve the flavor, clarity and character of your finished beer. This week we provide an overview of mash techniques and their impact on your beer. A single step infusion mash is the bread and butter for 90% of the world’s all-grain brewers. A single step infusion involves mixing in a single water addition at a certain temperature so the target infusion temperature (typically 148-158F) is reached in a single step. After the water is added, the mash is left in an insulated container for 30-90 minutes and then sparged to produce sweet wort for brewing. We covered single infusion mashing techniques in our earlier article. The advantages of a single infusion are many. Using modern malts, almost all of the world’s beer styles can be duplicated using a single infusion mash. With software and a little practice, the infusion temperature can be accurately calculated for any target temperature. The equipment needed is minimal – usually a single insulated water cooler can act as both mash tun and lauter tun. Decoction mashing is a continental process developed before accurate thermometers were widely available. Rather than adding water at fixed temperatures, a portion of the mash is drawn off and boiled at each step to raise the temperature of the mash for the following step. The technique is covered in detail in our article on decoction mashing. Decoction mashing is almost always a multi-step mash, and does require an additional boil pot to boil the decocted portion. It also requires more time than infusion mashing. However, many continental beer styles such as Pilsners, German styles, and Vienna styles do benefit from a traditional decoction mash. Temperature mashing involves applying direct heat to the mash tun to raise and also maintain the desired temperature for a mash. This method is used by many commercial brewers who have precise control over their mash vessels. Homebrewers use this technique less often since it is hard to precisely maintain the temperature of a large pot over a burner, and heating an insulated mash tun requires more than the simple plastic water cooler. However, temperature mashing is an acceptable alternative if you can both raise and maintain temperatures in your mash tun with some precision. Acid and Glucanese rest – 95F (35C) – to break down gummy solids (glucose) and lower pH of the mash for undermodified malts. The primary advantage of an acid rest is to naturally lower the pH of the mash which has a number of benefits in the finished beer. This is covered in our article on mash pH. Modern highly modified malts rarely require a Glucanese rest. 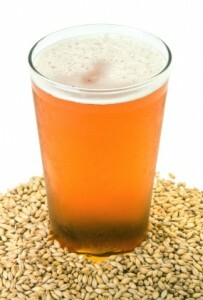 Beers that are very high in unmalted ingredients such as unmalted barley, unmalted wheat, or oatmeal (> 25%) can benefit from a 20 minutes rest in the 98-113F range, which can reduce the chance of a stuck mash. Protein Rest – 127F (52C) – A protein rest helps to break down long protein and amino acid chains into smaller ones needed for the mashing process. In undermodified malts, this will aid in head retention, reduce haze, and enhance malty flavor. However, fully modified malts (including most modern malts) do not benefit from a protein rest. Saccrification – 148-158F – The main event and critical mashing step is the saccrification step. In this step, long sugar chains are broken into smaller ones that can be easily fermented by yeast. The saccrification temperature you choose is always a compromise. There are two enzymes called alpha amalyse and beta amalyse that break down long sugar chains in your mash. These two work in different temperature ranges of approximately 101-150F for beta and 154-162 for alpha. The practical implications are that if you mash at a higher temperature for a shorter time you will get a sweeter, malty beer with higher body, while mashing a a lower temperature for a longer period will result in a thinner, cleaner beer with lighter body. In BeerSmith, these are listed as full, medium, and light body mash profiles corresponding to different saccrification temperatures. After reading the above steps, it should be clear that for most homebrewing applications using modern highly modified malts all that is required is a single step mash profile. Only if you are brewing with undermodified malts or a high percentage of unmalted adjuncts will you need an additional step. Some brewers do stick to three step decoction mashes for truly authentic Pilsners or German beers, but for 90+% of all homebrewing, a single step infusion mash (light, medium or full bodied) is all that is required. To Mash Out or Not? A “mash out” step is often added at the end of the mash profile, even for single infusion mashes. In a mash out, additional hot water or heat is added to raise the temperature of the mash to around 170 F. This stops most enzyme action, and also helps to thin the mash runnings a bit to prevent a stuck mash. The merits of the mash out step are much debated in the brewing community. Many brewers skip the mash-out with no adverse consequences. I generally recommend adding a mash out only if you are brewing a beer with a large amount of wheat, unmalted barley or other additives that might result in a stuck mash. Stopping the enzymes is less important as most brewers lauter directly into their boil pot where the wort will shortly be boiled in any case. BeerSmith offers a wide array of mash profiles to pick from. For most homebrewing applications, I recommend choosing one of the single infusion, no mash out profiles. Pick either the light, medium, or full body single infusion, no mash out profile depending on the style of beer you are targeting. If you have your equipment set up correctly, BeerSmith will perform all of the mash calculations for you and provide step-by-step mash instructions on the brewsheet. I hope you enjoyed this week’s article from the BeerSmith Home Brewing Blog. Subscribe or join us next week for another great home brewing article. Also, note we now have a directory of over 50+ home brewing articles available for your enjoyment. The link on “single infusion mashing techniques” isn’t working. Could that be corrected. Apparently many of the links were messed up when I uploaded this article to the site. I’ve corrected all of the links so they should work correctly now. How does one decide if the beer they want to brew should be brewed with a light, medium, or full body single infusion profile? I tend to search around about the beer style I want to brew until I find an author that has stated the beer is an XXXXX. Recipes rarely offer this information. It is style dependent. Many lagers and lighter beers obviously have light body. Stouts, strong ales and malty german beers benefit from a heavier body. If you do a little research into the style you are brewing from sources such as the BJCP style guide, you can get a feel for the type needed. It is the BJCP style guide that I refer to as I begin to set up my recipes. I just checked the, “Details” under BeerSmith’s Style area for three of my most recent brews. None of them clearly indicate what type of, “body” the style has. Maybe that is an area that BS can add value? It would be nice to be able to have a good reference for an individual recipe.